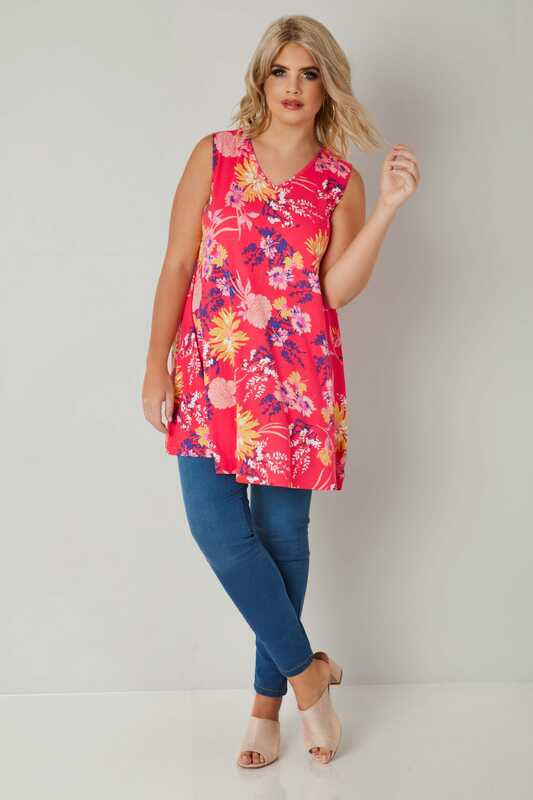 Front length from (approx): 81cm/32"
Back length from (approx): 77.5cm/30.5"
Made from a comfortable jersey fabric, this stylish sleeveless top offers a relaxed silhouette with its flared hem for a flattering swing shape. 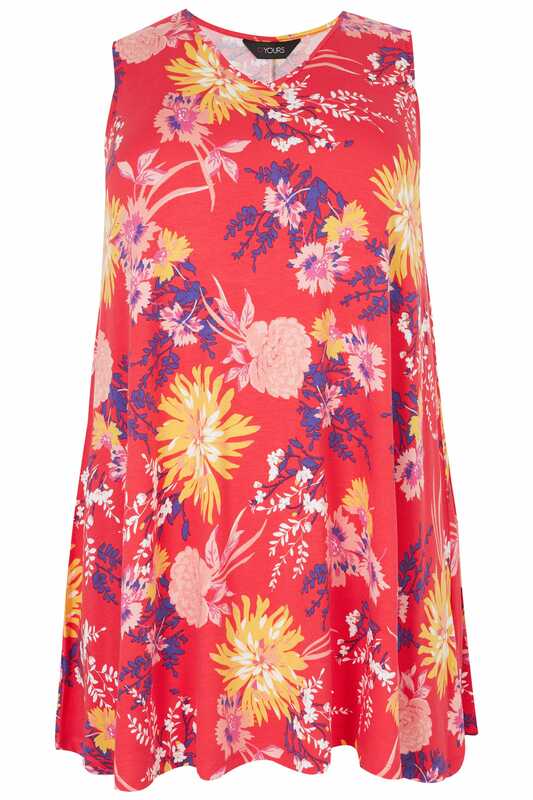 Ideal for everyday off-duty wear, team with skinny jeans and pumps for an on-trend look. 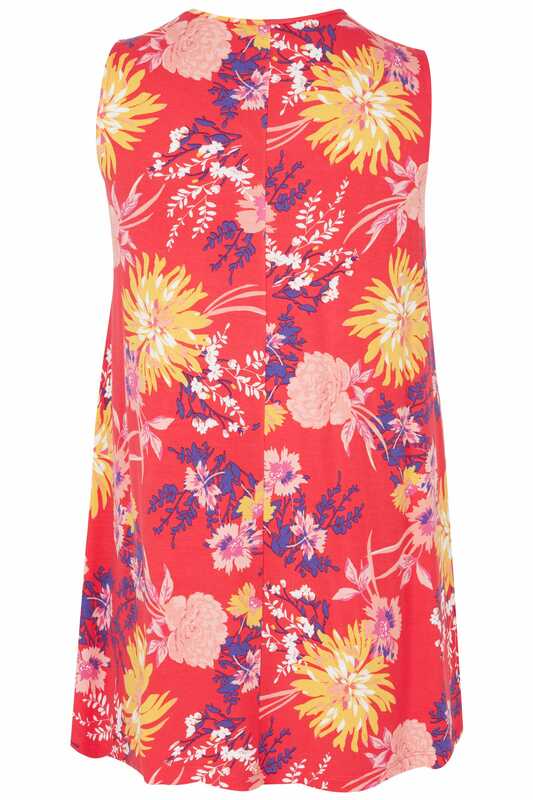 We love the bright and bold floral print.